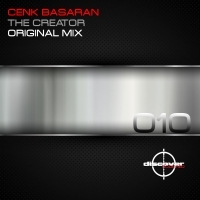 Cenk Basaran is a producer with an ever growing band of hi profile DJ's clamouring for his music. John Askew, Paul van Dyk, Simon Patterson and Sean Tyas are all included in this list with Askew recently requesting a Cenk remix of one of his goliath back catalogue tracks. Here he flexes his pure techno muscles and delivers a heads down groover that is certain to increase his profile yet further. 'The Creator' is available now from Beatport and iTunes.